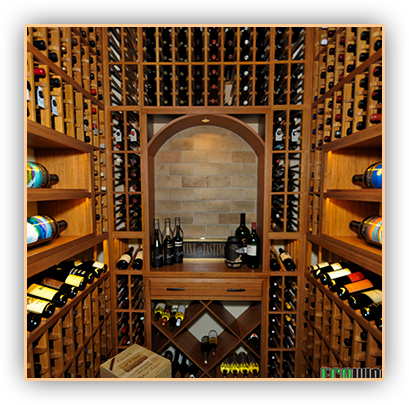 Ask a Realtor: How Much Value Does a Wine Cellar Add to Your Home? In a recent service all in Irvine, Orange County, California, M&M Cellars repairs a cooling unit that was leaking of Freon. So, this is the equipment for the wine cellar. This is set up as a HS 4600 system. This is the unit that I know there’s a leak in here. I was down here a week ago and I found the system low on Freon. And how I know is that I added a dye previously when I serviced the equipment. And that dye is in the system. So when I came here I noticed that we’ve got some dye leaking out from the condensing drain right here. And normally when I have that is because there’s a leak inside the unit. So what I’m going to do today is I will be opening the unit and looking inside and go from there and see where that leak is at. He’s got two units. His second unit an HS system that controls their media cabinet or entertainment cabinet. Right. That’s what the other one is for. Once he couldn’t find anything small enough to be able to duct into that small closet and what he ended up doing is going with a wine cellar equipment that could work for a media room. So all it is basically is higher temperature. So it’s not set to be so cold is what you need for the media equipment. So what would you normally set it for the media equipment? Yeah. Media rooms are typically kept like 70 to like 72 degrees. 75 tops is the range. So 70 to 75 degrees. And you’re going to set the wine cellar to? The wine cellar is actually set for 57. And we got the control over here. And yes it is. Right now the temperature inside the wine cellar is 59 degrees. It just turned on. It was off and it’s set for 57 degrees. So it’s working right now but I know there’s a problem. And that’s why I’m here to fix today. Cool! 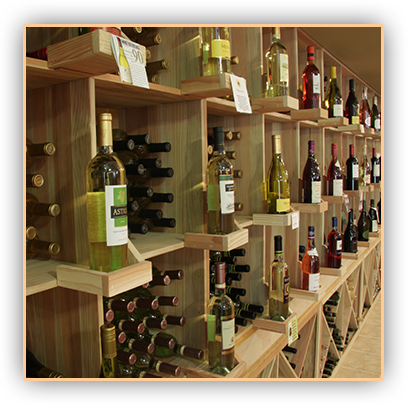 Let’s take a quick look at the wine cellar. So this is the wine cellar superb door there. Glass and wrought iron wood. 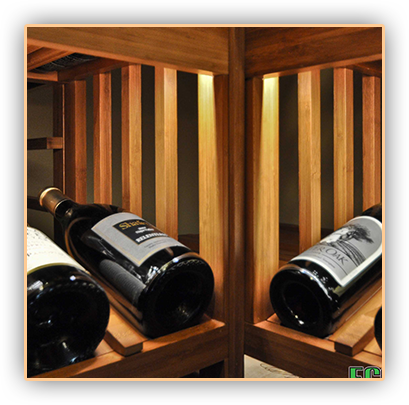 Double-paned which is what we usually what we try recommend to our customers when you’re building a cellar. The double-paned glass if that’s what they’re ready to go for. Correct. For the insulation purposes. The double-paned glass contains like heated Argon or some type of gas inside between the dual panes. Let’s take a quick look inside then. It’s a real nice wine cellar. Got some really nice seaming there. It’s actually quite small. It’s obviously bigger than a closet I suppose. But it’s that sort of style. Yeah. This could be, you know, a walk-in closet sized wine cellar. But it’s still got quite a ton of capacity in there. Right. Oh yes. It’s still got enough storage space in there. 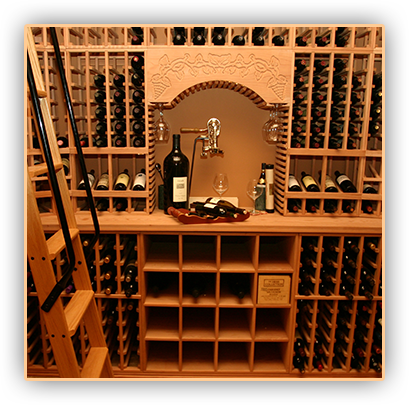 In this video we cover a wine cellar service call in Irvine Orange County California. We take a look at a not so common problem, where we have a significant refrigerant leak. This is “part one an instruction to the wine cellar and refrigeration system“.